Glasgow Film Festival has become renowned for its incredible events, and its newly announced 2019 special screenings are no exception. 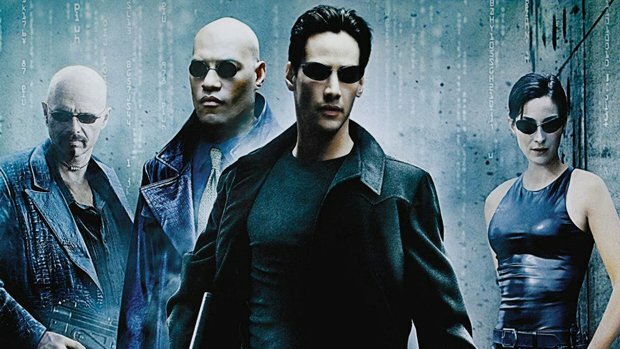 The 15th edition is hosting the first official 20th Anniversary screening of The Matrix in the subterranean caverns of the Argyle Street Arches. 'Mind-bending immersive installations' will set the misè-en-scene, but the audience is encouraged to don black sunnies and dark leather to get involved with the full experience. In keeping with the throwback sci-fi theme, a warehouse in North Glasgow will drown out screams at a pop-up Alien event, with laser-tag, comic books and themed cocktails. If you're really unlucky, you might have an encounter with a Xenomorph. The retrospectives continue with 1969: End of Innocence, devoted to 10 American films of the year. 1969 capped a decade of trauma for the country, and famously saw the release of counter-culture classics such as Easy Rider, Butch Cassidy and the Sundance Kid and Best Picture Oscar winner Midnight Cowboy. Programmed screenings include Alice's Restaurant, Bob & Carol & Ted & Alice, Medium Cool, Sweet Charity, They Shoot Horses, Don't They?, The Wild Bunch, and True Grit. For its 2019 country focus, GFF will also cast light on Belgian cinema with the Both Sides Now programme of contemporary filmmaking. Highlights include the Scottish premiere of Lukas Dhont's award-winning Girl, Marta Bergman's feature debut about a Romani woman who becomes a mail-order bride Alone At My Wedding / Seule à mon mariage and stop-motion animated feature This Magnificent Cake! The festival will be welcoming a host of Belgian directors and actors and screening some much-loved Belgian classics. Tickets for Alien and The Matrix go on sale 12pm on Monday 26 November from glasgowfilm.org. The full programme for Glasgow Film Festival 2019 will be announced on 23 January.